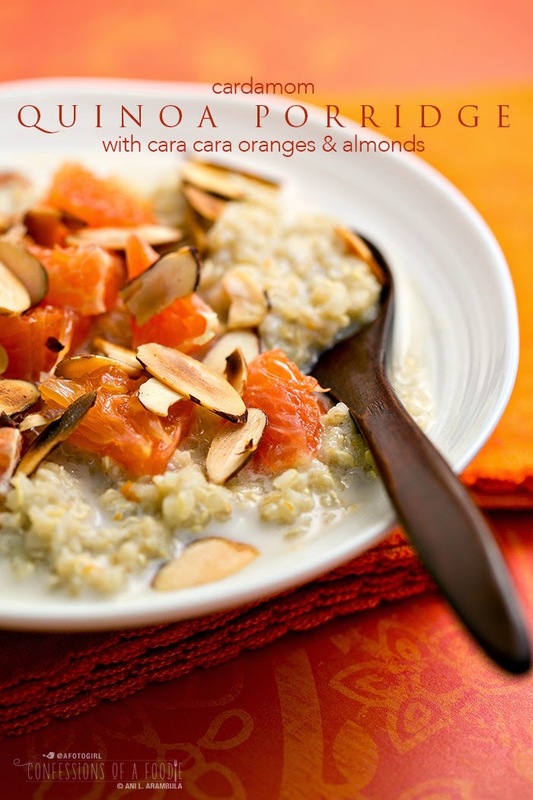 Single serve recipe for cardamom spiced quinoa porridge topped with gorgeous Cara Cara oranges and toasted sliced almonds. It's vegan, processed sugar-free, and gluten-free. 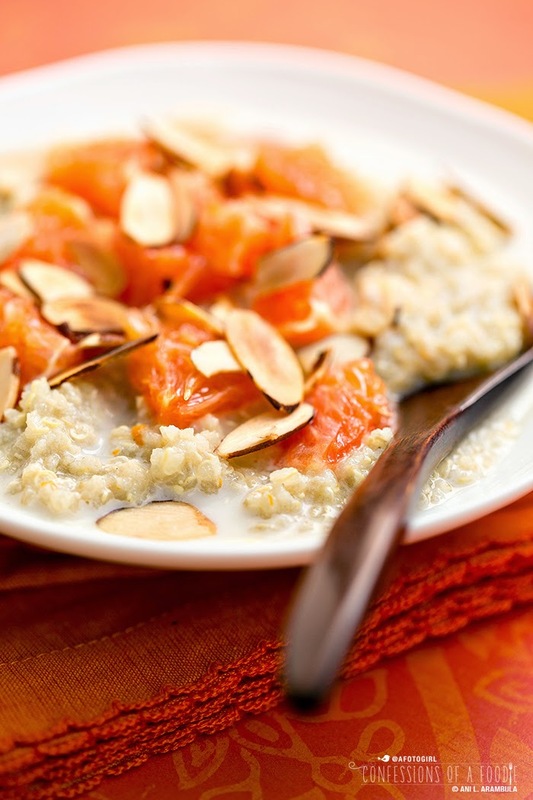 Start your day on a nutritious high note with this single serve recipe for cardamom spiced quinoa porridge topped with gorgeous Cara Cara oranges and toasted sliced almonds. It's vegan, processed sugar-free, and gluten-free. Unlike my auntie who doesn't care for the texture of quinoa, I adore it. I make quinoa often to throw into my salad or serve alongside my main at dinner and even as patties and "meatballs." Always savory, though, never sweet. However, the idea of making quinoa for breakfast has intrigued me ever since I saw Brandon's breakfast quinoa recipe on Kitchen Konfidence. I've been making oatmeal a few times a week and last weekend I had time to experiment with my breakfast porridge and after noticing the gorgeous cara cara navel oranges still sitting in the fruit bowl on the dining table, I decided it was time to try quinoa for breakfast. I popped in to my pantry and opened up my spice drawer and stared at it for a bit, turning bottles over in my hands, opening some up and taking long whiffs until my hands came to rest upon the cardamom pods that a friend had given me. Cardamom. I've used it exactly once before so far. It was in my cauliflower soup and I thought that was quite a success. 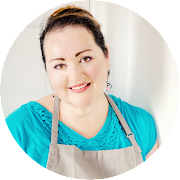 So I pulled them out, grabbed my homemade vanilla extract, my bag of white quinoa, my jar of sliced almonds and some sea salt as I headed back into the kitchen. Putting my cast iron skillet on medium-low heat, I carefully toasted the almonds and promptly removed them when they reached a nice toasty color. I decided to use both almond milk and water for the liquid and added some Cara Cara zest for brightness. I wasn't sure how this was going to turn out. I just went for it and hoped for the best. Turned out, my instincts were spot on. The porridge was fragrant enough to wake up your senses but not overpower, crunchy from the almonds, slightly sweet from the oranges, creamy from almond milk and simply a warm bowl of comfort. I'm making it again this weekend! Hope you give it a whirl, too. Feel free to sub any orange on hand but if you can get Cara Cara's while they are still in season, you must try them. The flesh is a deep reddish orange, reminiscent of pink grapefruit in look but sweet like an orange. It's become my absolute favorite orange! Also, if you don't have almonds on hand, try chopped pecans or walnuts toasted. And if you aren't a fan of stevia, feel free to sub for your sweetener of choice. Place milk, water, quinoa, ground cardamom, salt, vanilla, orange zest and stevia into a small saucepan and bring to a boil; reduce to lowest setting, cover and let cook for 15 minutes. At the end of 15 minutes, turn heat off and leaving cover untouched, allow to sit for 10 minutes to finish steaming. 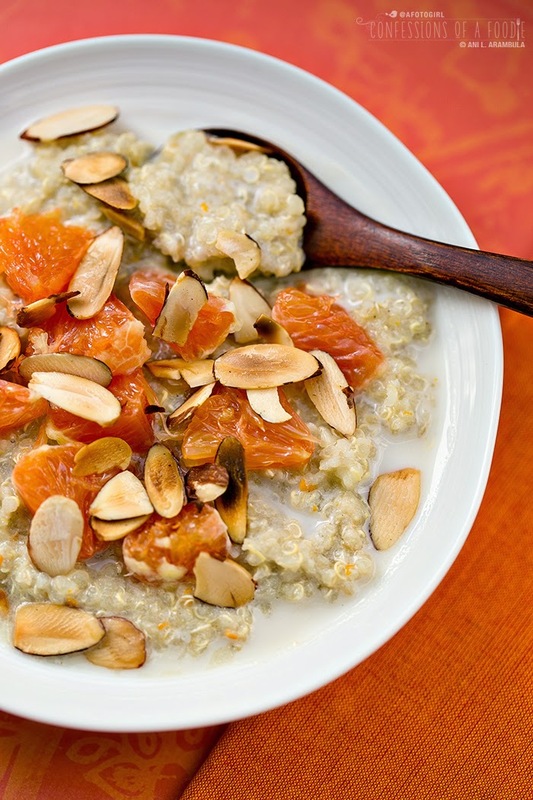 While quinoa is simmering, prepare oranges for garnish and toast almonds. When ready to serve, remove quinoa to a bowl and top with oranges and almonds and adjust sweetness if desired. Add more almond milk if a thinner consistency is desired. I adore Cara Cara oranges. This porridge is lovely, especially for a chilly morning. Wish we had chilly mornings!